Ash McKenna is a mess of a man who wakes up to a voicemail from the girl he loves only to find out soon after that she is dead. So Ash sets out on a quest to find his lady friends killer. On the way we meet Ash’s friends and some off kilter crime bosses all told through the eyes of a man born and raised in New York. 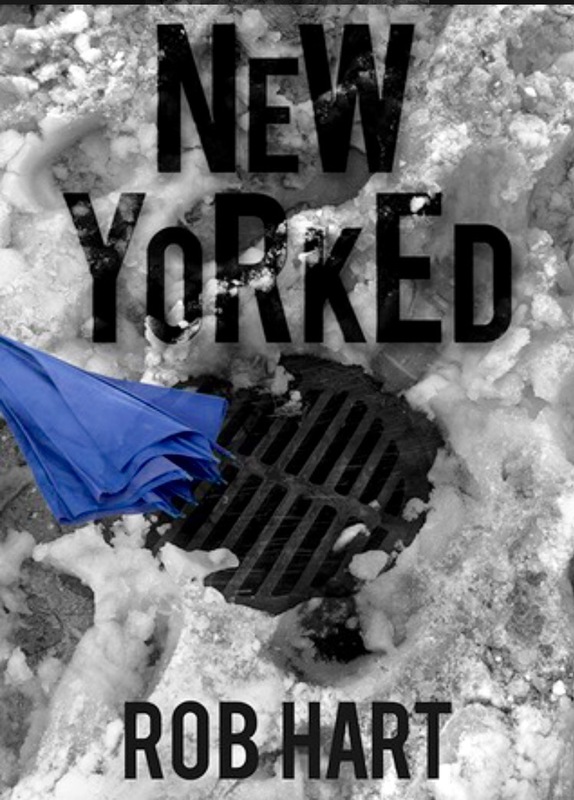 New Yorked is a neo noir tour through New York City. There’s a cavalcade of characters that populate Hart’s New York such as the transgender crime boss Ginny, the obnoxious Hipster King, and Fanny Fatale who runs a strange LARP game that runs through the city. Ash’s friends and a cousin who shows up on his doorstep which give the reader a different perspective on Ash’s real motivations for finding his friends killer. Some of these people are almost unbelievable characters, but prove to add a real quirkiness to the story. Rob Hart has a nice noir style to his writing, spare and direct prose that isn’t clogged with over description. It actually reminds me a little of Charlie Huston’s Joe Pitt series except without the vampires. The plot tends to meander a bit though, and some of the characters introduced were completely irrelevant to the story, unless he plans to use them more extensively in the next books of course. He writes good dialogue and character even making the city I only know from TV and movies come alive. I’ve followed his career through a mutual writing community and his first novella The Last Safe Place and I think New Yorked is a very good start to a new series. I’ll look for the next one City Of Rose soon.